For the sake of the health, it is equally important to make the balance of life and manage time for each important activity. To fulfill this purpose, a fitness trainer can play a vital role in marinating the life of original liveliness. Take a free trial of the personal fitness trainer at home before contracting with the same. In this fast forwarding world, it’s very difficult to get time to maintain the body and weight. Also, when it comes to the gym, it is quite difficult to manage time and go to the fitness centres. Fitness trainer at home, come with the kit and assists you in getting proper diet along with the right amount of exercise. 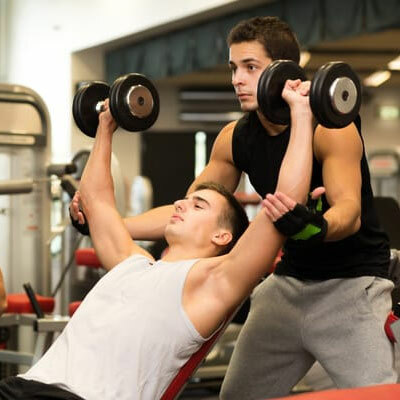 It is very important that your fitness trainer is familiar with all kinds of issues. We have best fitness trainers that provide services at home. We know very well that how to maintain the balance between busy schedule, work schedule, and exercise time. I am Pankaj Kumar Pandey, a certified fitness trainer who provides the best custom made solutions for fitness problems. While contributing seven years in the fitness industry, I have come across many complex problems and get appreciated with the finest results. I share my experience in various fitness programs too.